Few milestones in human history are as dramatic and momentous as the meeting of three great civilizations on American soil in the sixteenth century. 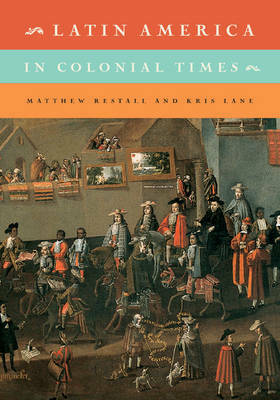 Latin America in Colonial Times presents that story in an engaging but scholarly new package, revealing how a new civilization - Latin America - emerged from that encounter. The authors give equal attention to the Spanish and Portuguese conquerors and settlers, to the African slaves they brought across the Atlantic and to the indigenous peoples whose lands were invaded. From the dawn of empires in the fifteenth century, through the conquest age of the sixteenth, to the end of empire in the nineteenth, Latin America in Colonial Times combines broad brush strokes with the anecdotal details that bring the era to life.